The importance of swapping the meat, plastic and clothing we consume for more sustainable options is arguably something we've all heard about and considered carefully recently. However, the furniture and homewares industry is one that hasn't been impacted by the sustainability movement to such an extent. Yet. However, recent research carried out by sleep experts at Mattress Online has highlighted a significant problem. It revealed that an average of 22 million pieces of furniture are discarded per year in the UK, much of which goes straight to landfill. While the amount of furniture and homewares waste generated is much less than that of other industries, 22 million pieces of furniture being discarded on a yearly basis is a staggering figure and, if we're serious about reducing our impact on the environment, is something we need to get on top of. One of the sources of furniture and homewares waste, and something we, as homeowners, are all able to combat ourselves is what we do with our own unwanted buys. Surprisingly, and despite the trend for upcycling evidenced on Instagram and Pinterest, the research revealed that fewer than one in 10 of us consider repairing furniture in order to extend its lifespan. Simply reducing the amount of discarded furniture could save resources of course, but also our own money. Simple solutions we could all address? Painting furniture or kitchen cabinets to give them a new lease of life; reupholstering sofas, armchairs, footstools and other soft furnishings; or finding a new use for an old item, such as turning an old, metal bread bin into a plant pot or making cushion covers out of old curtains. Or perhaps you could donate unwanted furniture or look at making money back on it? Donating it to friends or family members or to charity, or selling it on eBay or Facebook Marketplace are all good ways of repurposing. This process works in reverse, too. 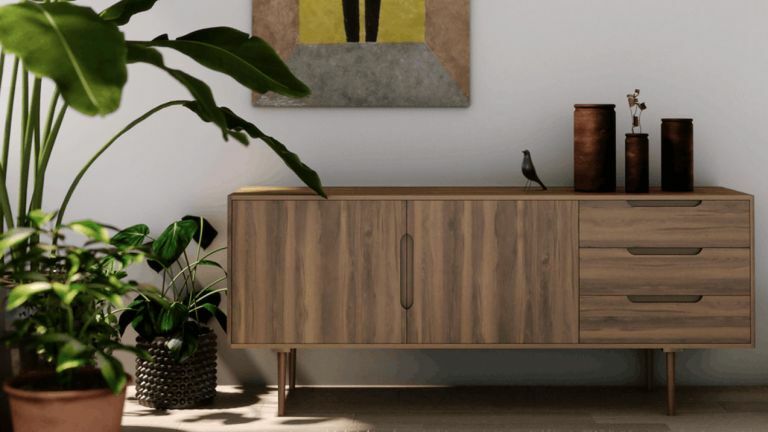 If you find that you're in need of a new piece of furniture for your home, sourcing it second-hand, as opposed to opting for a brand new model will cut down on someone else's waste. Finally, if you do opt to buy new – which all of us will do at some point – researching brands that value sustainability and considering which materials will last longest will have the least negative impacts on the environment. That means choosing eucalytus, teak, bamboo and rattan for wooden pieces; steel or aluminium for metal furniture; and homeware items made from recycled plastic. So, while eyes aren't yet firmly fixed on the home furniture industry and its manufacturing processes, it is clearly time that we, as homeowners, step up to the plate and think hard before we buy new.